Ever since I baked the first batch of Almond Buns I knew I was onto something big. There has been no end to the creativity and uses for the almond buns including pizzas, waffles, endless breakfast ideas and even hor d’oeurves! It remains the most popular article and I think people really enjoy having a low carb option for bread. 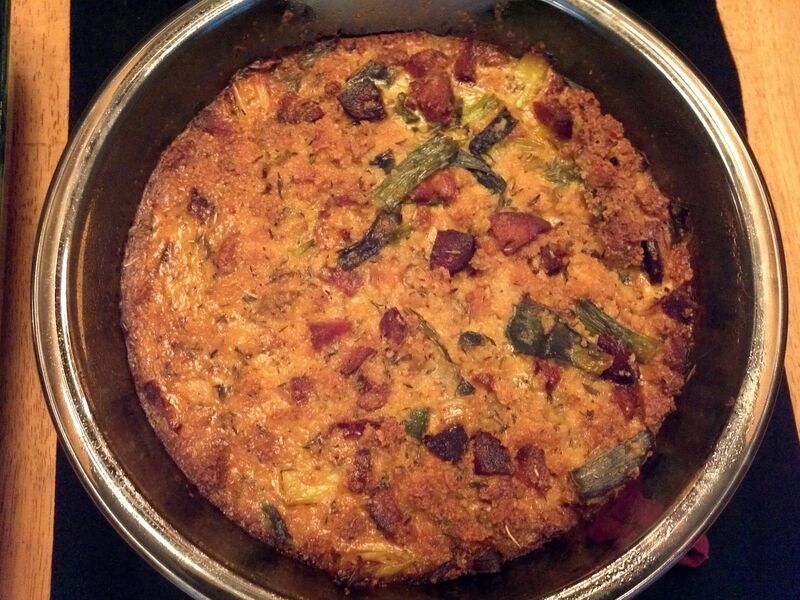 With Thanksgiving looming, I decided I wanted to create an entire keto Thankgiving feast for my wife and I. I ended up making a Fried turkey as the main course, along with keto cauliflower mash, cheesy green bean casserole and this almond bun stuffing. 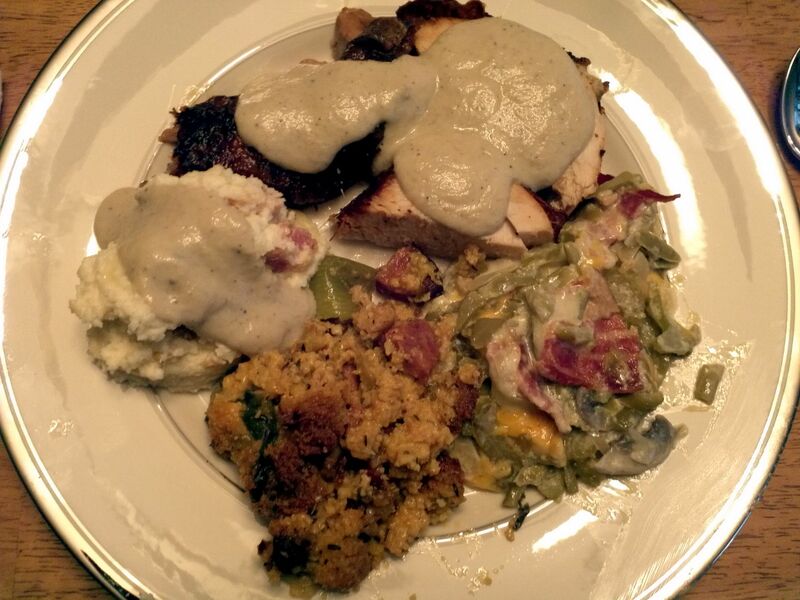 it all turned out wonderfully and I even topped it all off with some keto giblet gravy made from scratch turkey broth! Above is the finished product! Since we fried the turkey, I cooked the stuffing in a glass bowl. Let’s get started! The first step in this recipe is to prepare the almond buns per the original recipe. 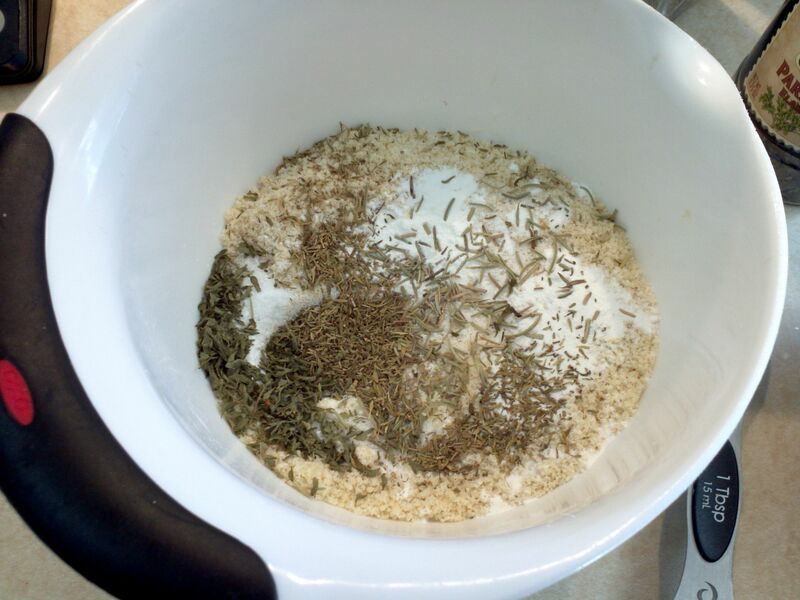 I won’t go into great detail since its covered in the original article but the main change is to double the recipe and add thanksgiving spices to the dry mix. I should note that the almond buns are pretty much a blank canvas by default and you can spice them according to the occasion like this version. 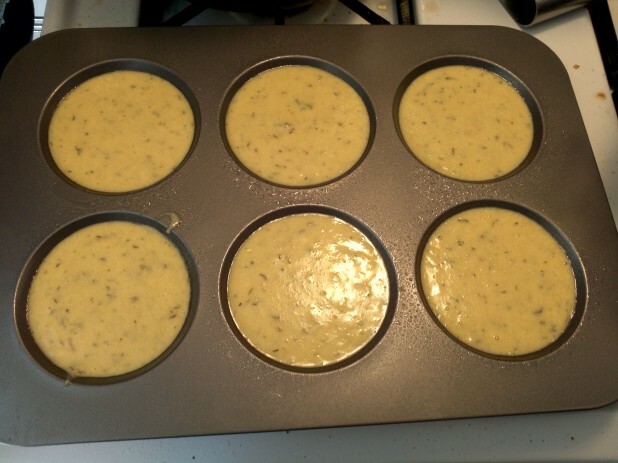 Once you have added the liquid ingredients to the batter, it should look like this. Make sure it is liquidy and not clumpy. 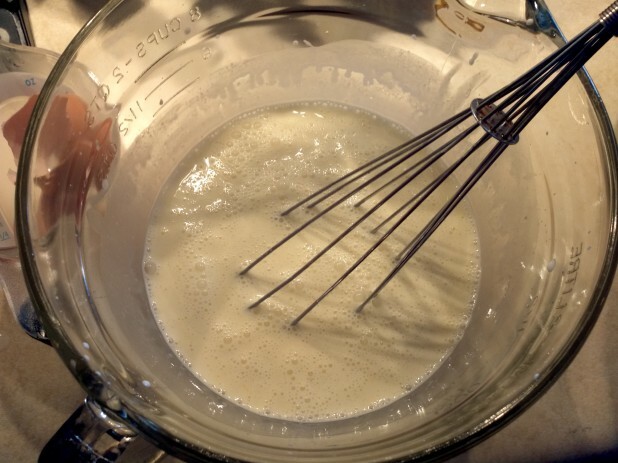 For this batter, it is very important the ingredients are warm before being mixed so you get the correct consistency. 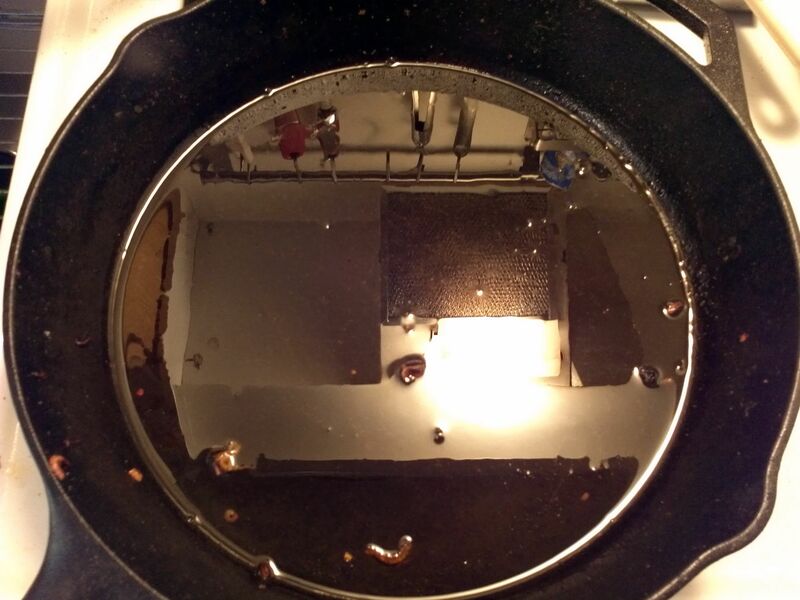 I warm the eggs in hot tap water before using them and microwave the butter. Here are the almond buns, ready for the oven. 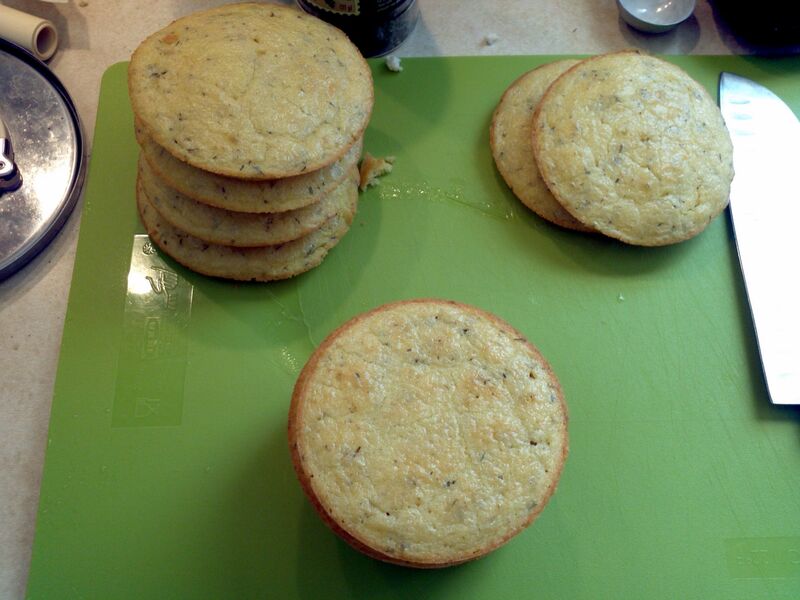 I still used the muffin top pan so I could get all of the edges on the pieces. We are going to essentially create seasoned almond bun croutons out of the almond buns so we need them to crisp up anyway. Now you should have a stack of finished almond buns! The next step is to cut the almond buns into bite sized squares. 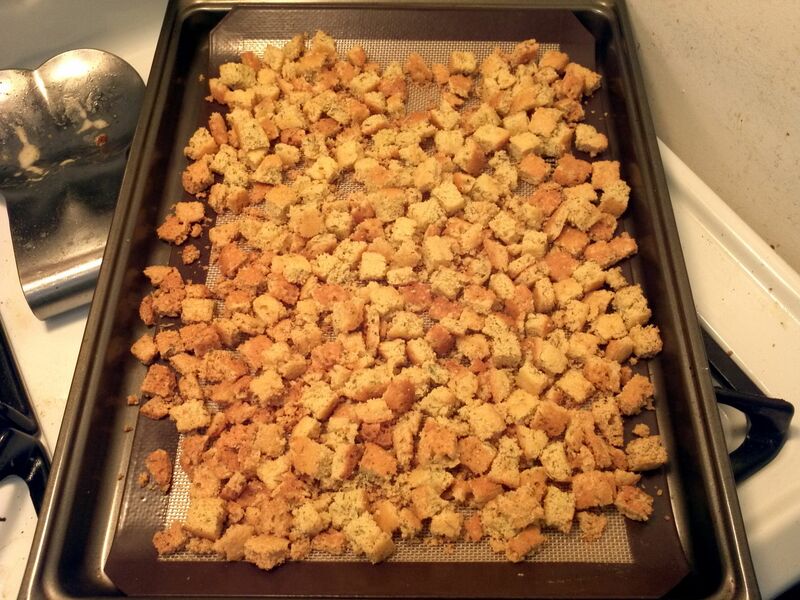 This is the first step in the crouton making process. Next lay the croutons out on a silicon mat . Bake at 200 degrees for 1 hour to dry them out. 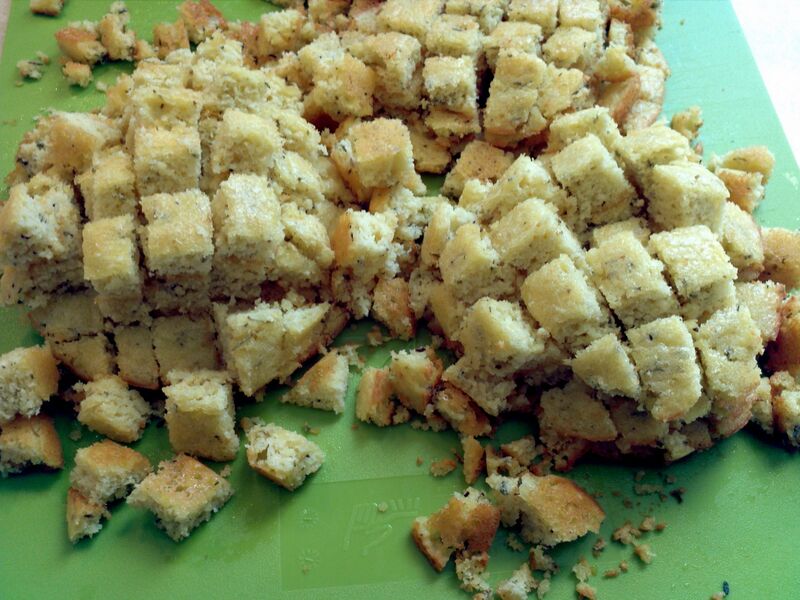 Once the almond bun croutons reach this consistency, aka light brown and crisp, take them out and set them aside. Dice the vegetables and set them aside for later frying. For the meat of this stuffing I went with Chorizo. 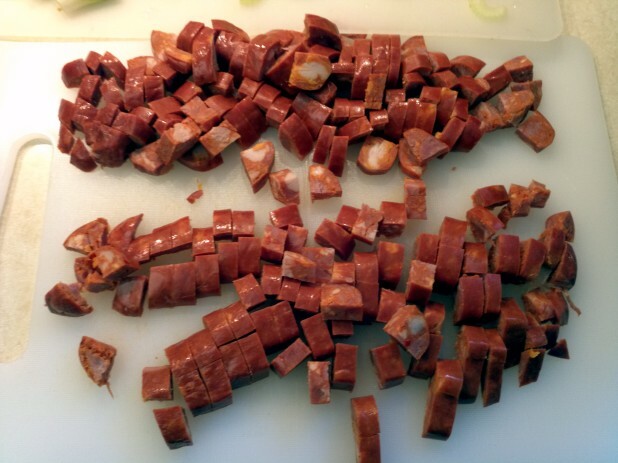 Chorizo is a mexican sausage with a nice spice to it which adds a lot to the dish. 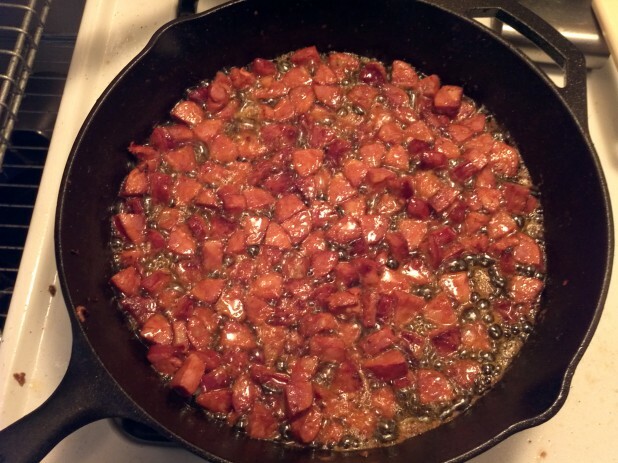 They also sell ground Chorizo which is another option if you don’t want to chop it up..
For preparing the Chorizo and the vegetables, I strongly recommend using a 12″ cast iron skillet with a large helping of bacon grease as the frying oil. 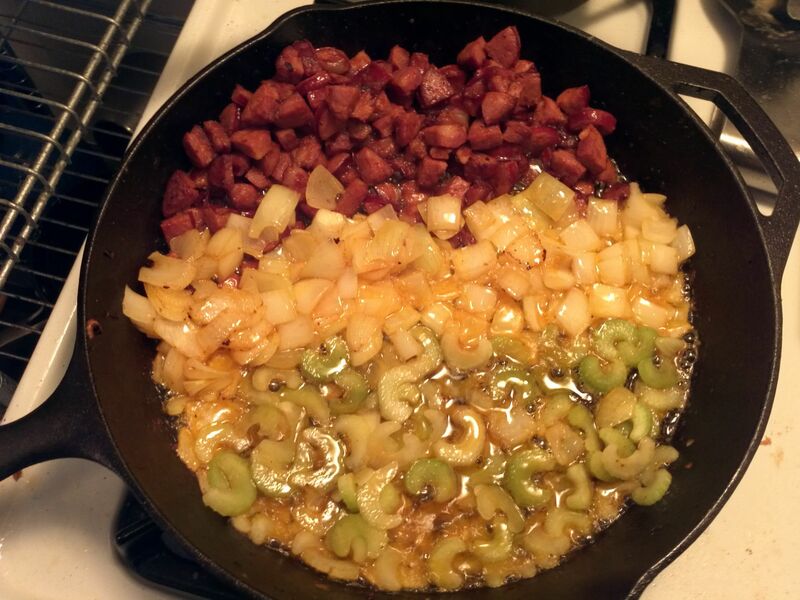 Since the Chorizo starts raw, fry it in the bacon grease first. Not only does this cook the Chorizo but this flavors the grease with a nice, slightly spicy aroma. After the Chorizo is cooked, push it to the side and add the onions and celery. 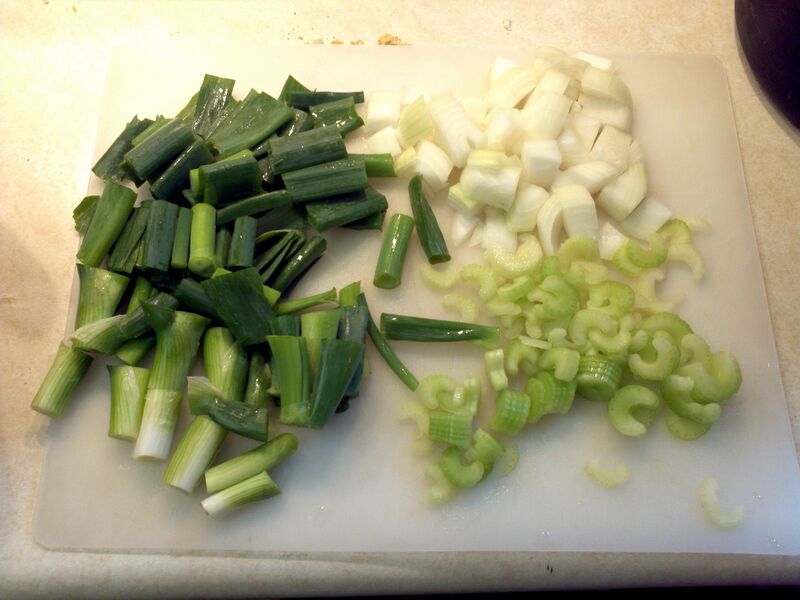 Reserve the green onions for later as they cook quickly. Once the vegetables are translucent, mix all of the items together. 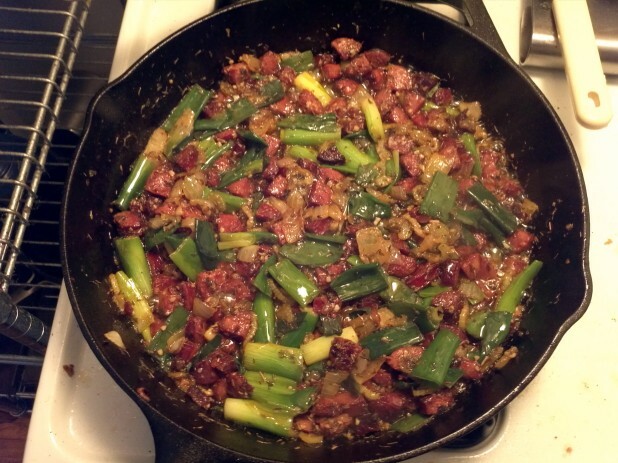 Finally, add the green onions and cook until they are done. 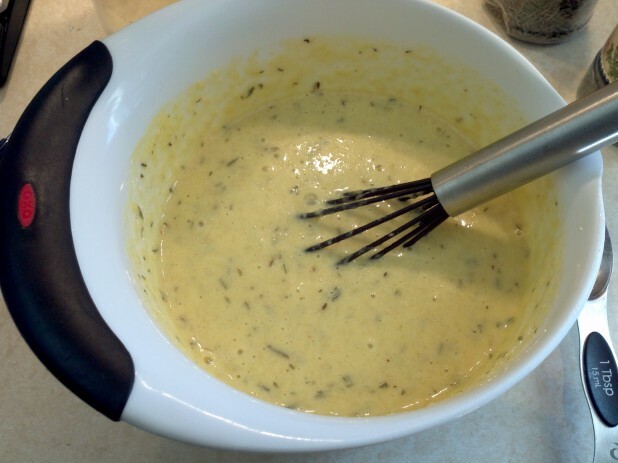 Once you’ve finished cooking all the ingredients, transfer the items to a large mixing bowl . Now that we have the vegetables all cooked, and the croutons baked, we need to turn our attention to the liquid part of the recipe. 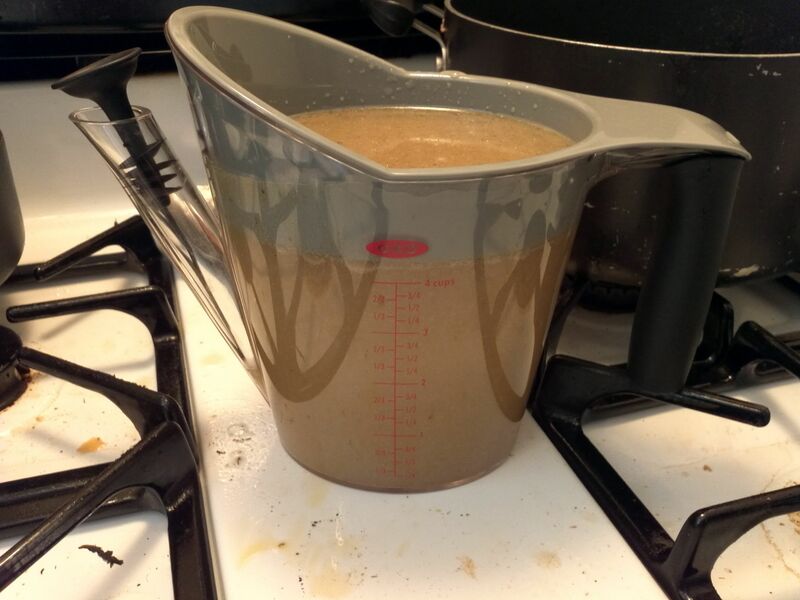 Ideally, you have turkey broth ready to go in your fat separator as shown above. If not, sub for chicken broth. Combine equal parts of turkey broth and cream with the eggs to form the liquid component. Then add this to the large mixing bowl along with the croutons. Mix by hand until the mixture is fully combined. Now the stuffing is ready to bake. Cook at 350 degrees for about an hour to an hour and a half or until the top starts to brown. Here is the final product plated with some Fried Turkey, Cheesy Green Bean Casserole, Cauliflower Mashed Potatoes and Keto Giblet Gravy! 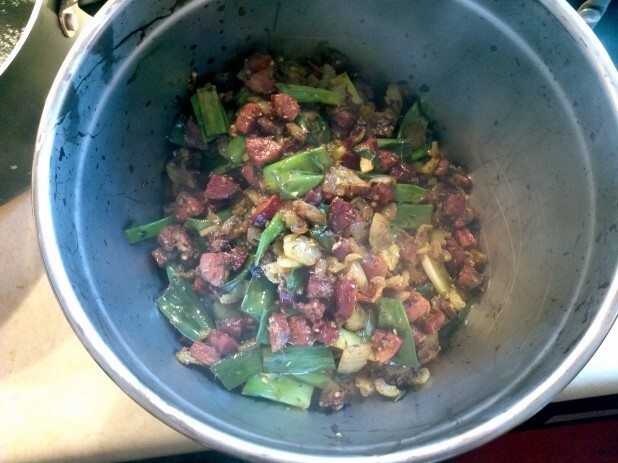 I like a more simpler version of regular stuffing. What should I use just to make a bready stuffing? 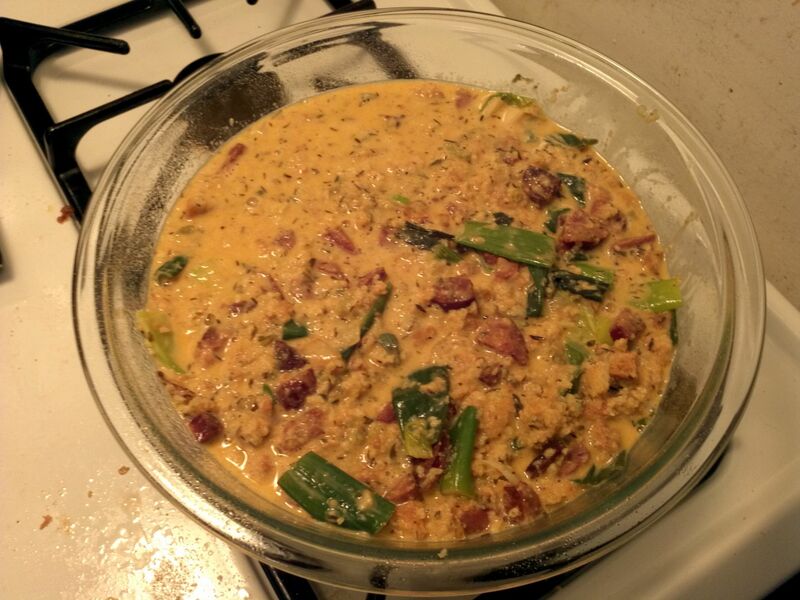 Would this work for making a version of traditional southern “dressing”, just use chicken in place of the chorizo? Absolutely! I think it would work for any sort of dressing you wanted to make. Where is the Nutrition info (macros) please? F/P/C count please. I’m looking forward to making this! Should I make the bread ahead with of time? You know the drill, cooking a bunch of stuff and it always takes longer than planned! Oh and add traveling on t day on public transportation…. Yeah. BTW your website is a STANDARD in this house! My boyfriend is keto and since I do most of the cooking… I am too, I guess 🙂 love your recipes!!! 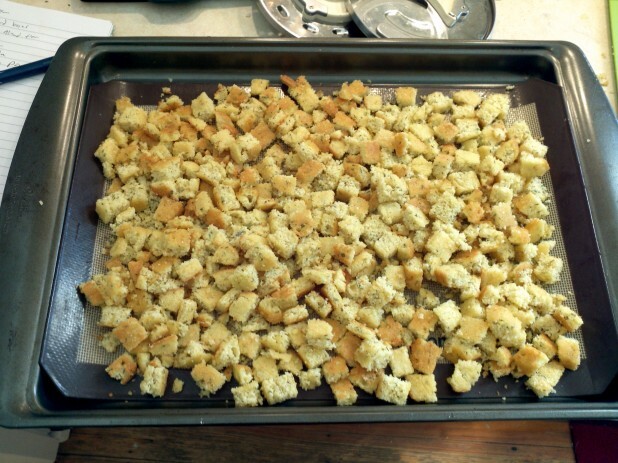 Yeah I would make the bread ahead of time and let it try out like croutons! 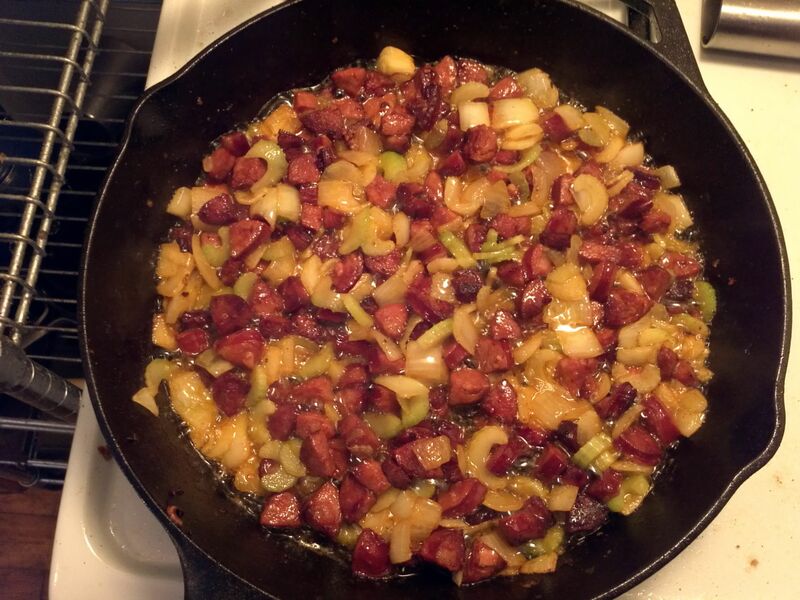 I made this for our Thanksgiving dinner this year, only substituting regular sausage for the chorizo, and it was WONDERFUL! I’m having leftovers for breakfast right now! Thanks so much for doing the research, trial and error to put this together. Almond buns are now a new staple of my kitchen! I made this stuffing for thanksgiving this year. I was staying with my boyfriend’s family out of town and knew there wouldn’t be many keto-friendly options available, so I wanted to make my own and avoid the temptation. 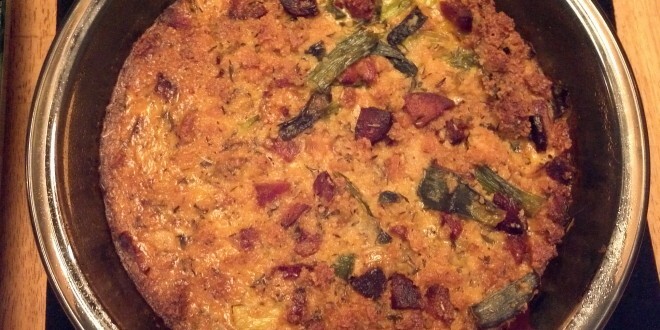 Everyone loved this stuffing and preferred it to the other “normal” stuffing that was available. The huge casserole dish was gone by the time we left that weekend. Huge hit! Would it work if I used the flaxseed bread instead of almond bread for this? Pingback: A Ketogenic Thanksgiving - Low Carb & Gluten Free!